In a typical household, there always seems to be one person who handles the finances by paying the bills and balancing the checkbook and the other who, well, doesn’t. 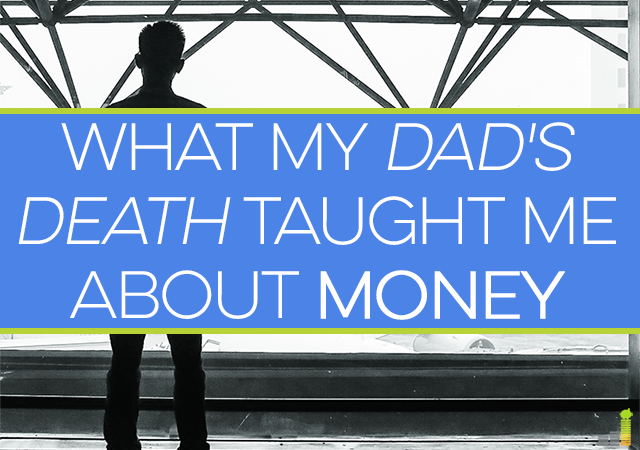 My dad was the bill payer, and after he passed away unexpectedly a few years ago, I watched my mom panic about how to handle the financial chores that he used to, all while she was grieving. 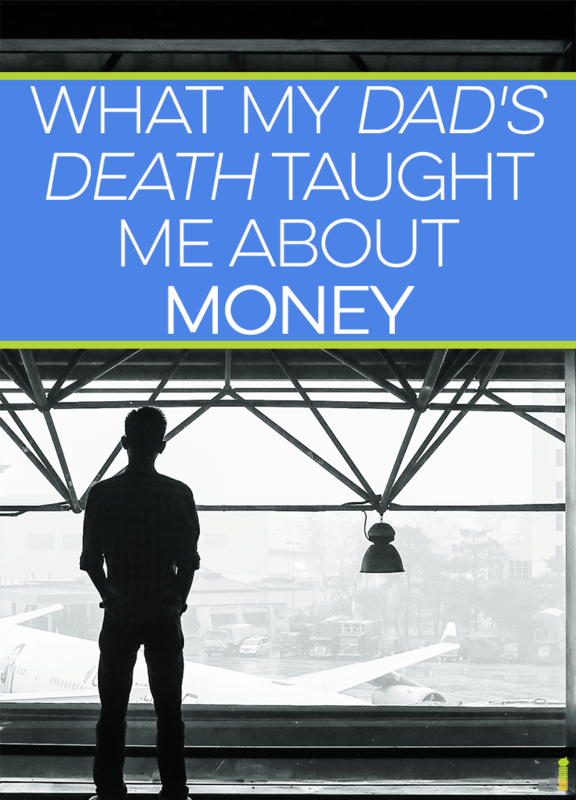 She had the money to pay for everything, but since my dad handled the finances, she had no clue how he even did some of it. I hated to see her struggle like that after his death, and it was probably the last thing she wanted to deal with at the time. It was then that I realized that there were so many things that we needed to do differently in my own house. For instance, I pay off our credit card each month, but my husband pays our water and electric bills. I was meticulous about paying our mortgage every month, but my husband pays for our insurance. It all comes out of the same account, but if I don’t actually click the button to pay for something, then it’s out of my mind, which is why I’d probably lose electricity in a month or two if something ever happened to my husband. It probably wouldn’t cross my mind to look for that bill in his email. Losing a loved one is painful, but inevitable, and sometimes it happens when you least expect it. Planning ahead makes sense and is a whole lot easier than trying to pick up all the financial pieces of your life when you’re grieving. I like to keep things simple, so I started a notebook of accounts, logins, and passwords for all of our accounts. We keep it in our fireproof safe, and it contains all the financial information we need from where our bank accounts and important documents are kept to the bills that we pay. I want my family to have evidence of our important financial information in case it is ever needed, because you really never know what’s going to happen. If a notebook is too simplistic for you, you could keep an electronic list in a file on your desktop, as long as it’s secure. The important thing is to have a list available of your financial details for your loved ones, just in case. I’m certainly no one to talk since I didn’t make a will even when my own daughter was born, but drawing up a will is so important. We had a paid-off house, two cars, and lots of savings, but not a single document that would tell someone what to do with all of it and our daughter if we both passed away in some tragic accident. Pretty scary stuff to think about! While it’s not something that’s necessarily fun to think about, it’s something that, as adults, we need to consider, and this is especially true if you have children. It’s the responsible thing to do, and it’s so important that everyone knows what to do with your kids and your assets in case you aren’t around. If nothing else, do it for your kids. Although we should’ve done it as soon as we had our daughter, we didn’t get life insurance until I quit my job to stay home with her three years later. Because we were becoming a single-income household, we knew we would feel more comfortable with a term life insurance policy in place. Getting it was so easy, and I honestly rest easier at night knowing it’s there and that it’s cheap. If you aren’t already financially independent and you have dependents who rely on your income, life insurance provides peace of mind and security. We should have done a lot of things differently, especially once we became parents, but we got lucky that (so far) everything has turned out okay. It’s not fun to sit awake in bed at night and wonder what would happen to your kids and everything you’ve worked so hard for if something unexpected happened to you. So, take care of what you can now; it will help you sleep better at night and you won’t have to learn a painful lesson the hard way. Do you have a will? What helps you keep your financial information in order and easy to find when you or a loved one might need it? How do you handle the financial chores in your family? We have two kids and I’m embarrassed to say that neither of us have a will. Ideally I would like to do a trust, but we’ve put it off because, while they have a lot of advantages, there is a considerable cost involved. I’ve been meaning to do some research about trusts as well… thanks for the reminder! I would get that taken care of as soon as possible, its very simple to put anyone as a beneficiary on all the accounts even though that’s not the route wanted. It makes the estate process simple for the two children and gives the most money possible! Personally, I have the valuable experience of my dads estate and seeing all the debts collected out the life insurance since that money was deposited into his estate account BECAUSE he had no will or alive beneficiary. It’s just sad – that’s more money I could have had to go back to college or put down on my first house. Don’t make the same mistake! It’s just a list of things to do (pay these bills in this way), passwords, a few phone numbers (like of our renter), etc. I also have a reminder in there to obtain a death certificate to get the life insurance payout, how to gain access to my 401k, how to apply for Social Security benefits etc. I know my husband is really smart, but I also know that if I don’t have this documented, it would take months for him to get everything in order. That’s so good!! It seems morbid when you’re doing it, but it’s so much easier on your family if something actually happens to you. AND it helps YOU rest easier knowing that they would be well taken care of as well. My mom died 3 years ago. I was the executor for her will, and I’m really grateful she had all of her affairs in order, lists of all assets available, and a plan for us (her kids) and her husband to follow. Even with all of that said and with there being no conflict between those who were left behind, getting the estate squared away was still a complicated process. The more you can help your loved ones navigate that process, the better you are taking care of them. The most surprising thing Mom’s death taught me, though, was not financial or record-keeping-related. I realized as all her friends came by to bring us food and express sympathy how I had been neglecting finding a community to be part of. I’ve been more mindful of getting my introverted self out more often. I’m introverted as well, so I know what you mean. Typically, I think introverts are more prone to keeping a few close friends rather than a huge group of acquaintances, so that’s how introverts like us can make it through tough times. I’m also sorry to hear about your mother. I’m glad that she had everything in order to make it easier on you guys. I do worry about this as I am the one who pushes all the buttons to pay bills. I think I have everything labeled and put in a place where it would make sense but who knows? I should have Jim do the bills for a month sometime just to experience it. I think seeing and doing are two totally different things. That’s a good idea to have him do it once just so he is a little more familiar with it. Great post. My father was a very organized and detailed man but we still have never found his will. Oh wow, so you know he had one, you just can’t find it? I handle all the financial duties so this is a good and I really need to keep a list of accounts like you mentioned. The “If Hannah Dies” document Hannah mentioned sounds too morbid for me…maybe I’ll name it something else =) I try to include my wife in financial decisions and tell her things, but I still need a list so she can access accounts. Plus, there are certain employer/union life insurance policies/benefits that I think have certain deadlines so as morbid as this whole thing is…I need to be more prepared. There is a lot of progress I can make in this area. I need to get my life insurance plan underwritten in the next few weeks. I also need to get everything organized so that our finances aren’t all over the place. There’s probably a lot of progress we could all make in this area, but if you at least do one thing, then it’s better than nothing. I keep meaning to make a list of logins in case something happens to me. I pay all the bills in the household other than the two that we pay by phone. My husband handles those for me. I do have life insurance because Tim is on disability. I need to make sure he can pay off the house and have a small cushion. Small because we have enough health problems that my premium ain’t cheap. But I do feel better knowing that he’ll be taken care of. The logins thing was big for me. If nothing else, make your email password known so that other passwords could be reset via your email account, if needed. Every January, we update a letter to our son that tells him about all of our accounts, bills, etc. so in case we both die at the same time, he know what to do. We also put information about who did our wills, the realtor we’ve used for several property transactions, suggestions about what to do with things like my extensive book collection etc. He knows this information is in our safe deposit box. We also put his name on the box so he will have no hassle accessing it on our death, and he knows where we keep the key. We’ve been through parental deaths so have some experience in how to make it easier on him. Wow, it sounds like you guys know what to do and are covered. I bet it helps you rest easier knowing that your son would have all your financial information in case he needed it. We split paying the bills, but we have a list of all our monthly bills so that if something happened there is a list of everything that should be paid.